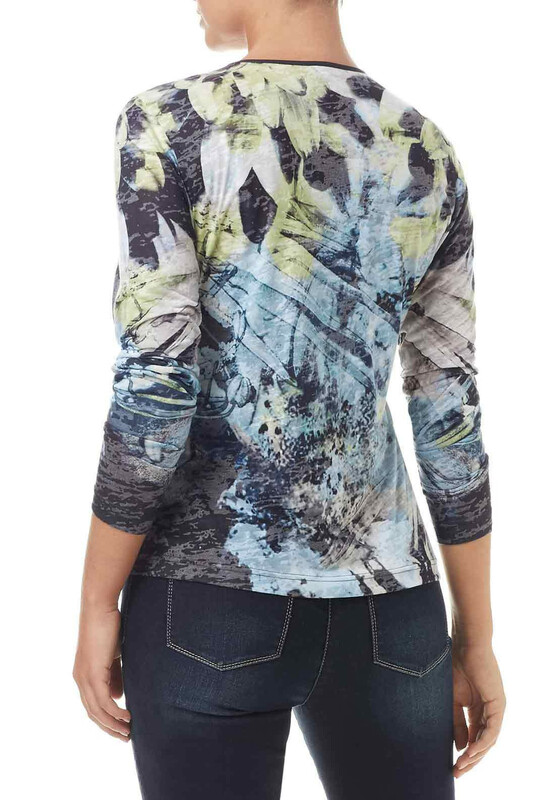 This bold long sleeve t-shirt would look lovely worn with a plain cardigan and navy jeans or trousers to create a classic off-duty look. 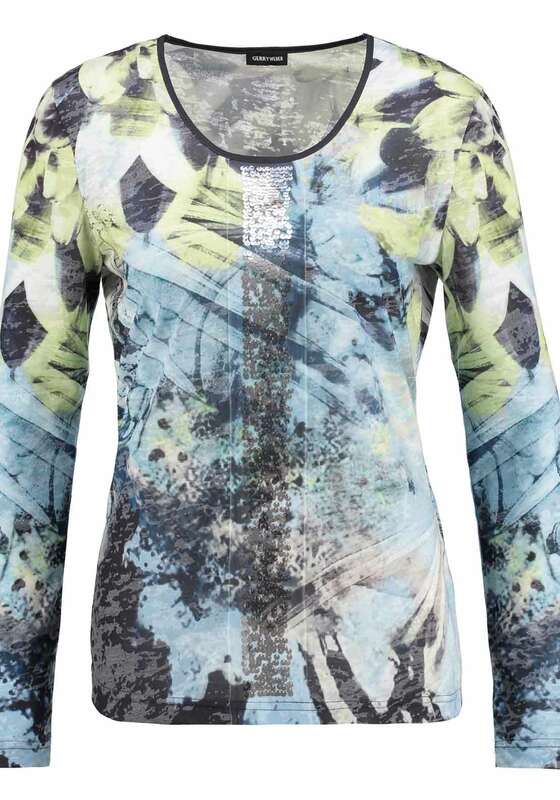 Crafted from lightweight jersey with a blue and lime green toned print throughout. 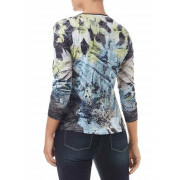 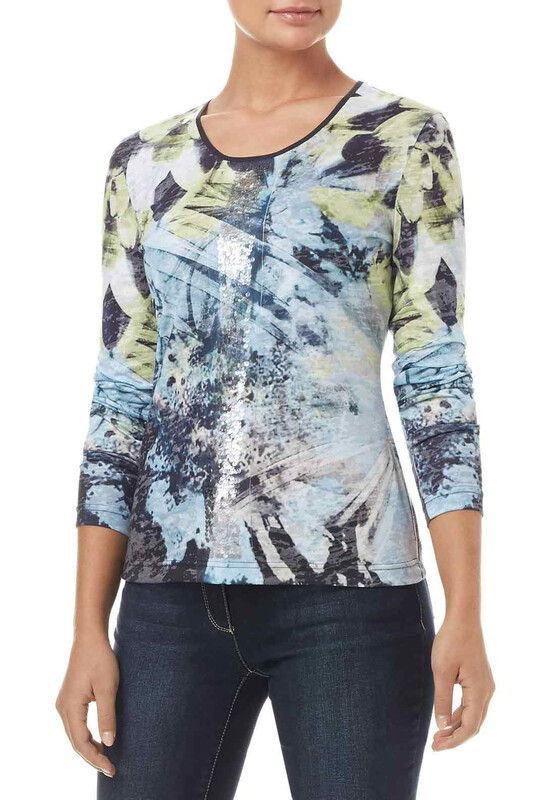 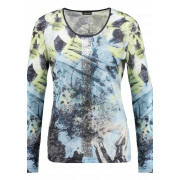 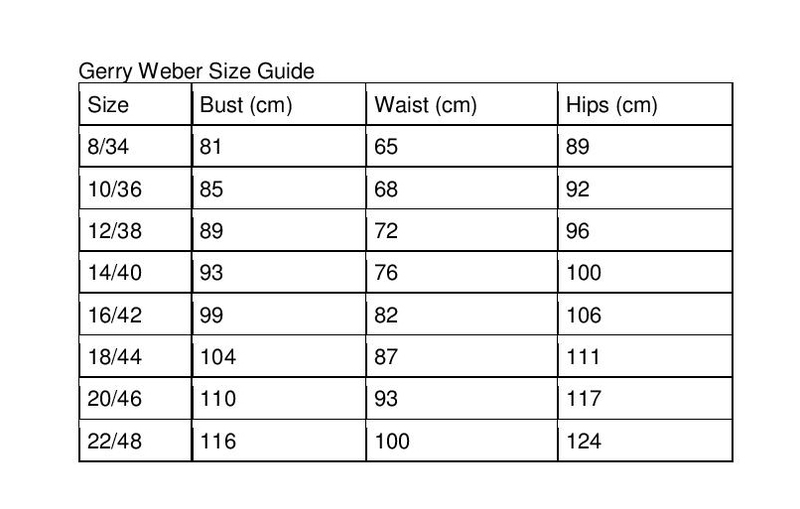 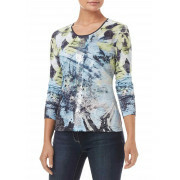 Designed by Gerry Weber with a figure fitting shape and featuring sequin embellishment on the front.